Design the official CCIW Outdoor Ministries Camp 2019 Camp T-shirt! 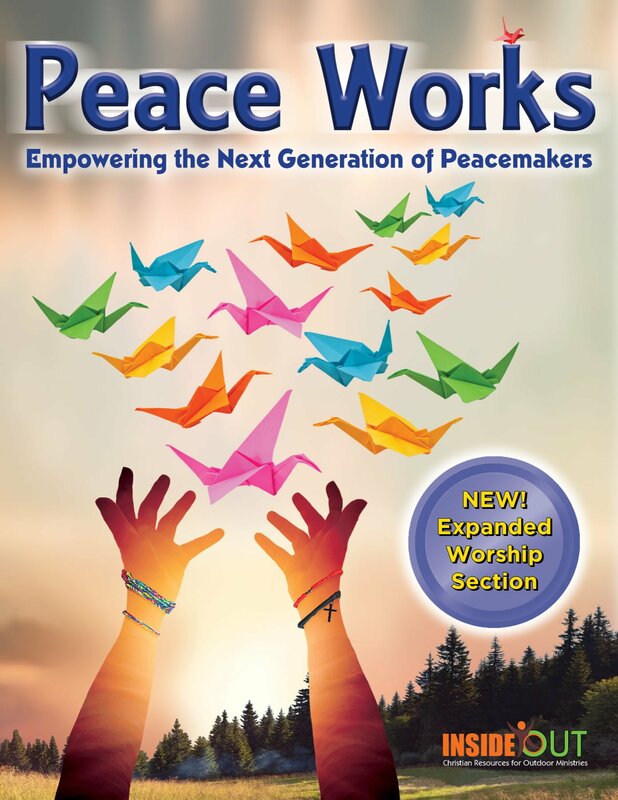 Use your creativity and show off “Peace Works – Empowering the Next Generation of Peacemakers”. Scholarship to attend one camp of your choice. That’s right, you get to go to camp for FREE! Bragging rights. The first place design gets placed on the camp T-shirt! Contest opens NOW through May 1, 2019. Voting begins May 3rd and ends May 10. Individual entries will be accepted. Design must completely fill an 8.5 x 11 letter-size paper. Maximum of 4 colors may be used. Acceptable File Formats: PDF, JPG, PNG. Art must fill the entire 8.5” x 11” sheet of paper. Acceptable mediums are markers, ink, or acrylics. GIF, Word, PowerPoint, or other web ready, low-resolution art will NOT be accepted. All submissions must represent the CCIW Summer Camping program and not specific campsites. Artwork is subject to modification due to potential printing and restrictions of file formats. Odds of winning depend on the number of entries submitted. All expenses incurred with the design of the artwork are the responsibility of the contestant(s). – Artwork or content deemed inappropriate by the CCIW Summer Camp Program Director for purpose of contest (offensive in nature or irrelevant to theme) will not be considered for final judging. All submissions become property of the Christian Church (Disciples of Christ) in Illinois and Wisconsin. Please initial your artwork somewhere on the design for recognition. Artwork must be original. Camper(s) take all legal responsibility for trademark infringement or unauthorized use of copy write protected or trademarked images. Entries submitted after May 1, 2019 will not be considered.